Matt Couture is the sports editor of The Berkeley Beacon. Couture is a junior journalism major. Couture was born in Boston in a hospital room with a view of the Citgo sign outside of Fenway Park. Couture has worked as a sports writer for the Beacon since joining in Sept. 2015. Previously, Couture was the head editor at his high school newspaper, The D-R Falcon Flyer. Couture is in his eighth year as youth baseball umpire during the spring and summer. Couture can be reached at matthew_couture@emerson.edu. Tufts flexed its muscle on the offensive boards, outscoring Emerson 45-25 in the second half to pull off a 71-67 comeback victory over the Lions men’s basketball team Wednesday. 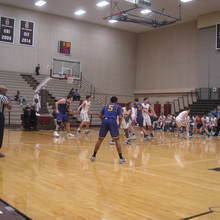 At a recent practice, Emerson’s men’s basketball team lined up along the baseline on the far side of the Bobbi Brown and Steven Plofker Gym. Players stepped to the line for what seemed to be a series of high stakes free throws. Make it, and the team rests. Miss, and the team runs. 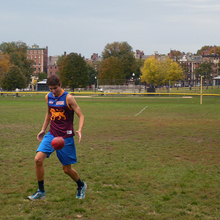 Rotch Playground and Field will have the feel of a playground for fans on Saturday as the first Emerson College GameDay kicks off. Twice the Suffolk goalkeeper went down and twice Emerson’s men’s soccer team capitalized, but the Lions were unable to overcome a Christian Restrepo hat trick in a 5-2 loss to the Rams Wednesday night. The no. 4 seeded Lions drew no. 5 seed Massachusetts Institute of Technology in the bracket. 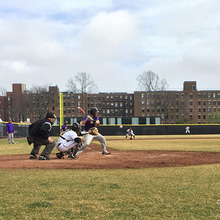 Emerson struck first, but was unable to overcome a three-run MIT fifth, and dropped Thursday’s matinee game to the Engineers, 5-2. 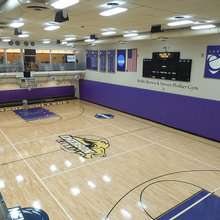 As Emerson athletics prepares to celebrate its 70th anniversary at a June 3 banquet in the Skybox of the Bobbi Brown and Steven Plofker Gym, alumni won’t have to look far to see the changes in the Emerson Lions landscape. Emerson players wore teal T-shirts prior to the doubleheader, with SAAM printed on the back to recognize April as Sexual Assault Awareness Month. Haley was named the NEWMAC Defensive Athlete of the Week on April 3. A familiar face is patrolling the sidelines at Rotch Playground and Field this season alongside head women’s lacrosse coach Kat Egizi. Entering play on Thursday, the women’s lacrosse team is 3-2 in conference play, placing them fourth in the NEWMAC. The popular show Veep’s sixth season premieres on April 16, and fans with a taste for the political comedy and the Emerson men’s volleyball team might be surprised to stumble upon middle blocker John Bucy while binge-watching to catch up. After returning from spring break, the Lions collected three straight wins over Albertus Magnus, Mount Ida, and Emmanuel, all members of the Great Northeast Athletic Conference, putting them in line for for a conference playoff spot. Youmell’s fundraising strategy skills are front and center as he raises money to run on behalf of Massachusetts General Hospital’s pediatric cancer team in this year’s Boston Marathon. Emerson’s first club sport to receive approval since the launch of a new application process is laying plans for its official debut this fall. Emerson pitcher Sam Knox hopes to be calling out the names and numbers of Red Sox players some day over the public address system. But for now, head coach Nick Vennochi is calling Knox’s number on the ballfield, and getting results. Emerson’s Bobbi Brown and Steven Plofker Gym reopened on Monday after it was closed for over a month due to minor flooding. 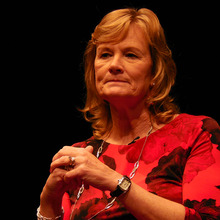 Melanie Matson, Emerson’s director of Violence Prevention and Response, will speak at the NEWMAC conference-wide Student-Athlete Advisory Committee meeting this spring, showcasing the work her office has completed with Lions athletes over the past year. Colombini said the first focus is on being competitive in nonconference games consistently—the Lions lost two overtime matches against Becker and Wheelock, but dropped four of their seven nonconference matches by ten or more. Emerson’s Student-Athlete Advisory Council used an old classic—pizza—to attract fans for a January basketball doubleheader. But the pies weren’t the only draw. A NEWMAC conference change that will move women’s tennis to the spring season in 2018 is bringing new urgency to the athletic department’s search for home courts for its men’s and women’s programs. 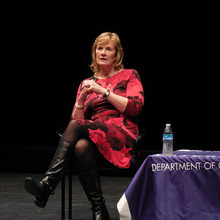 Beacon reporters spoke to Emerson students to get their thoughts on the Patriots' Super Bowl parade. Emerson’s athletic department required all student athletes to attend motivational speaker Marc Mero's presentation Thursday night. After spending significant time on rebranding in her first two years with the college, including the introduction of the new Lions logo, Nicol said she has two new initiatives on the docket: securing outdoor tennis courts and hiring assistant coaches to bolster recruiting. 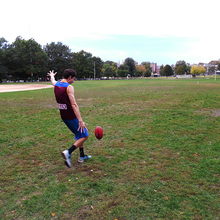 An inbounding pass from junior forward John Geary to Gray with 1.1 seconds remaining reached its intended target. But Gray’s shot from beyond half court was well short. The final score: 62-61 Engineers. Entering play Wednesday, junior Corey Fitz had drained all of his last seven three-point shots. Meanwhile, Saturday’s game program featured a rare sight: two recruited players from the small Martha’s Vineyard Regional High School. 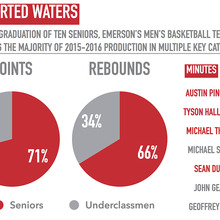 Madden is one of five freshmen who has played impactful minutes for Emerson’s women’s basketball team. Head coach Bill Gould said Madden’s versatility has stood out. Miles re-entered the Lions’ lineup in his native California on Dec. 28 when the team traveled to Los Angeles for two nonconference games. Head coach Bill Curley said Miles provides an immediate jolt where Emerson needs one—on defense. 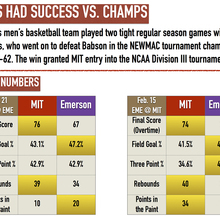 The early dominance of Charlie Boyle seemed to portend a better outcome for Emerson’s women’s basketball team after a blowout road loss at MIT in November, but by the start of the fourth quarter, it was clear a repeat finish was in store for the Lions. From the opening tip, Brown coach Mike Martin’s unit played tight defense. And it didn’t help the Lions (3-5) that the Bears (6-5) converted nearly every one of their looks on offense in the first five minutes en route to a 90-58 victory. 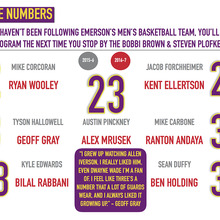 Emerson’s men’s basketball team travels to Providence to meet Division I Brown University on Friday night. A 30-point lead at the half was trimmed to 14 by the night’s end, but Emerson still handled Dean College easily in non-conference play, 84-70. Coaches and players are focusing on some things they can control: toughness, rebounding, and defense. Upset by the election of Donald Trump as the 45th president, multiple players wrote messages on their arms, and the entire team came together in a huddle during the national anthem. 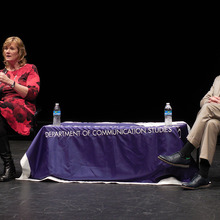 When legendary NBA writer Jackie MacMullan walked into the Semel Theater on Nov. 3, she gave a knowing wave to one of the fifty-some students gathered—her nephew, Lions pitcher Tim Mainella. In its first postseason action since 2013, Emerson women’s volleyball left no doubt who the better team on the court was, defeating Morrisville State College in straight sets Wednesday. When sports journalists or professional athletes share their social views, they’re typically met with at least some pushback. Neverett said persistently saying yes to assignments, regardless of the sport, gained him experience and connections. The game is played on a cricket ground, home to a sport which most Bostonians would probably only know if their game collection happens to include Big Beach Sports for the Wii. To the baseball umpire fan, the announcement of postseason rosters is akin to the release of the iPhone 7. Ragusa said he was expecting to make an impact, but didn’t anticipate he would lead the pack this early in the season. Ahead of the first game of the Sox’ home stand against the Orioles on Sept. 12, Jack Aylmer, Emerson freshman, was recognized on the center field video board for his efforts. 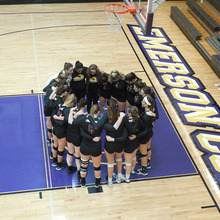 Emerson’s women’s volleyball team has been working on strategies to come out on top more consistently at the end of matches. It’s time for Lions fans to think about brisk fall nights of soccer at Rotch Playground and Field and climate-controlled volleyball inside the Bobbi Brown and Steven Plofker Gym. 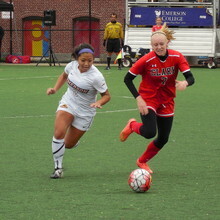 As Emerson finishes up its third year in the New England Women's and Men's Athletic Conference, some programs are starting to break ground, while others are still looking for their first conference win. This piece highlights the accomplishments of certain squads, ranging from a postseason tournament championship crowning of the women's soccer team, to the college's first NEWMAC playoff victory in men's basketball. Oftentimes, in elementary school classrooms, teachers set up reward systems for their students. Did your homework today? Gold star sticker for you. For Emerson’s women’s lacrosse team, there’s a dot board, designed to push players to reach attainable goals in each game. The ultimate reward? A trophy at season’s end. 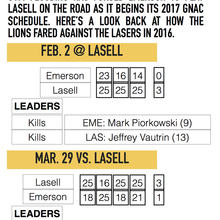 In the end, Emerson’s men’s volleyball team didn’t take a single set against Rivier University in nine tries this season. But on Tuesday night in Nashua, New Hampshire, the Lions gave the Raiders a game in what was predominantly a seesaw battle throughout. It’s been a rough year for Gabi Cohen. Between a fractured pelvis and torn ligaments, her progress on the lacrosse field has been stunted by injury. But Cohen, on the sidelines with her team every step of the way, still managed to win last year’s athletics’ community service award. As a tot and a high schooler in Caracas, Venezuela’s capital, Antonio Ramirez loved playing tennis. Now living in a city over 2,000 miles away from home, the sophomore journalism major’s fondness for the game may be one of the only things that hasn’t changed in his life. Emily Quinn knows a thing or two about a campaign. Kallista Leonardos said her choices were slim—the surgery or a future that didn’t include softball. 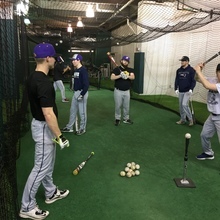 Combining their off-field skills with their on-field platform, Emerson’s baseball team is joining the Massachusetts Breast Cancer Coalition’s fight to prevent the disease. In 1986, Erik Sherman was standing outside the Sheraton Boston Hotel, hoping to catch a glimpse of the National League champion New York Mets. Armed with a pennant and a pen, Sherman collected the autographs of many of the team’s stars. It’s difficult to imagine the Red Sox playing a home game at Yankee Stadium. Away from the comfort of Fenway Park, with unfriendly fans in the stands, the Sox wouldn’t be expected to thrive. Walking into the athletic department, it’s hard not to notice a paper sign with a headshot of Republican presidential candidate Donald Trump. The sign urges students to be more proactive about recycling, using Trump’s glowing comments about Emerson—calling it a “very important, great college” at a Las Vegas rally—as a motivator. Emerson’s women's soccer team celebrated on Wednesday night a characteristic that players agreed personified their team and led to the college’s first Eastern College Athletic Conference championship win: grit. Under new leadership, the Student-Athlete Advisory Council has increased their visibility, hosting multiple events to boost the department’s profile in the past two weeks. For those with the itch to take to the hardwood floor and test out their shot on the same sacred ground Stephen Curry pranced on in December, there’s good news from the athletics department: Expanded open gym times are on the horizon. Sitting in the middle of the pack with the final month of the regular season underway, both Emerson’s men’s and women’s basketball teams will be left biting their nails as results stream in from across the New England Women’s and Men’s Athletic Conference over the next two weeks. 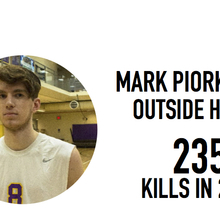 Just four games into his rookie campaign with Emerson’s men’s volleyball team, freshman outside hitter Mark Piorkowski is already commanding praise and accolades. Rugby fanatics, hockey stars, and curling enthusiasts: You could soon be wearing purple and gold. 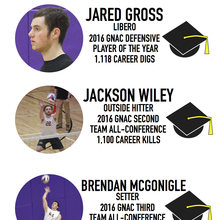 An extensive process is underway for groups that seek recognition as an Emerson College club sport by fall 2016. Two 3-point sharp shooters are helping Emerson’s women’s basketball team open up space down low again this year. A freshman who aspires to create in the animation studio has spent her first year at Emerson College carving out a prominent scoring role on the women’s basketball team. 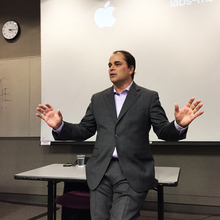 While Tim Neverett studied mass communications at Emerson College in the mid-eighties, he was a young student interning at sports radio WEEI in Boston. More than 30 years after that stint, Neverett will soon be a fixture on WEEI’s airwaves after being hired to join the Red Sox radio booth in December. Transitioning from California to Boston in the middle of the winter is less than ideal for the average warm-blooded being, but men’s basketball sophomore Michael Sheng did it earlier this year. Emerson coaches travel from coast to coast and tournament to tournament in search of the talent that will comprise their next recruiting class. But it’s not just athletic talent they’re after. 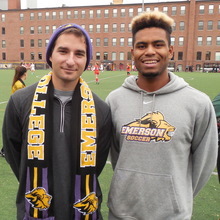 This year, Emerson’s men’s soccer team didn’t treat Taylor Korytko like anything special. And that’s exactly how the 22-year-old first-year assistant coach wanted it to be. In the conference room at Rotch Playground and Field, photos of departing seniors from Emerson’s men’s soccer team were laid out, awaiting signatures of teammates. As the club completed a second consecutive winless season in New England Women’s and Men’s Athletic Conference play, going 5-13 overall, players sounded a somber tone, but said the year offered glimpses of what could develop into a winning future. At 6-foot-1, Kelley Guerra rises above much of her competition on the court. In her first season on Emerson’s women’s volleyball team, she’s also risen high up the team’s statistical leaderboard. The circumstances that lead many to visit Mandy Nicoles and her Emerson athletic training staff aren’t always the brightest, but athletes at the college say they are thankful for the resources and instruction provided when injuries occur. Cross country began for Mike O’Connor as a backup plan. Now, he’s the captain of Emerson’s men’s team, and participated in his second half-marathon on Sunday. A small group of hopeful students are launching an effort to revive ice hockey at Emerson College. As a more distinct chill signals the start of fall in Boston, the cross country season is just heating up for Emerson’s men’s and women’s teams. Through two meets, both have enjoyed strong starts. Paige Haley and Jess Frost aren’t just soccer teammates. After the final seconds tick off the game clock, the two forwards head back to their residence hall at Emerson College, where they are suitemates. Both hail from the state of California, and grew up playing soccer. Under first-year head coach Javier Mejia, the Emerson College men’s soccer team has been working diligently to learn a new system of play ahead of their first conference match against MIT on Sept. 19.